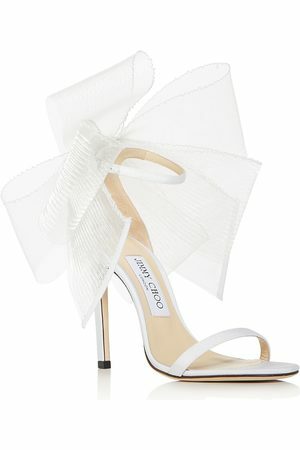 Jimmy Choo shoes, like these Lalia 85 sandals, stand out as true gems of modern elegance. Two twisted straps add volume and decorate the foot without suffocating it. A narrow heel adds a touch of elegance to these pumps that pair perfectly with a short, close-fitting dress.